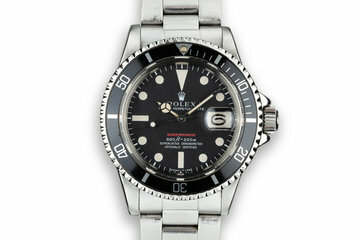 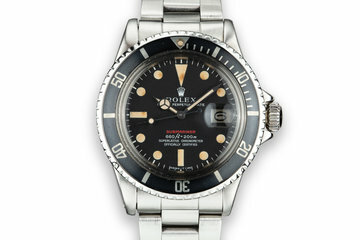 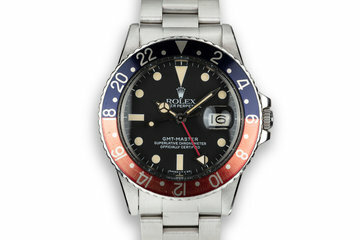 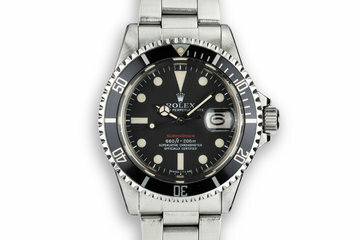 1983 Rolex GMT-Master 16750 "Pepsi"
Excellent case that has previously been polished and shows some wear from use. 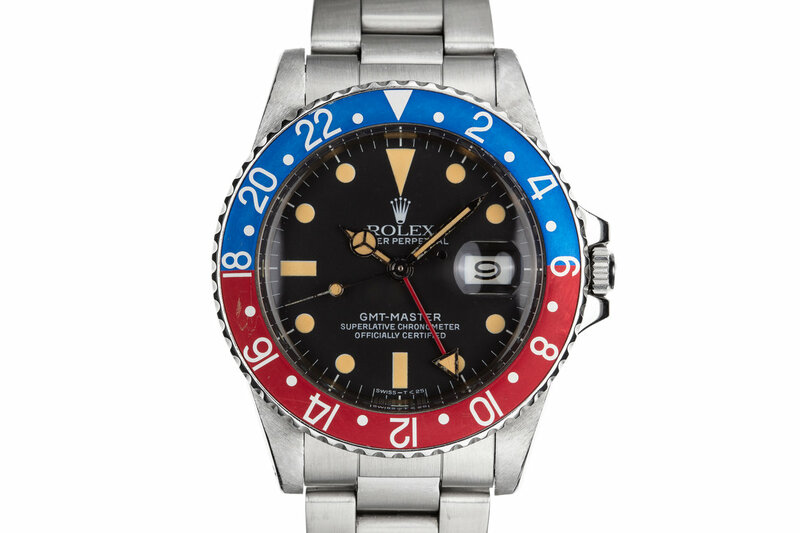 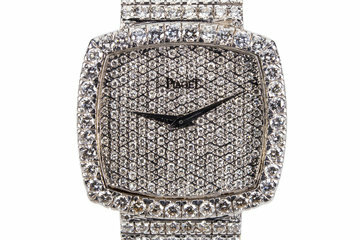 Excellent “Pepsi” bezel insert that has faded to a matte finish. 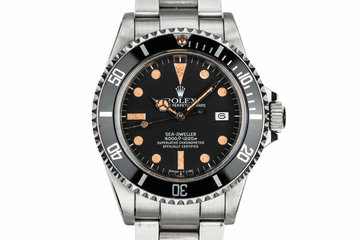 Excellent black dial with warm orange lume plots and matching hands.